Under the layers of paint which are now rock was a slightly different painting, fields of bluebonnets. I took the photo just outside Fredericksburg. 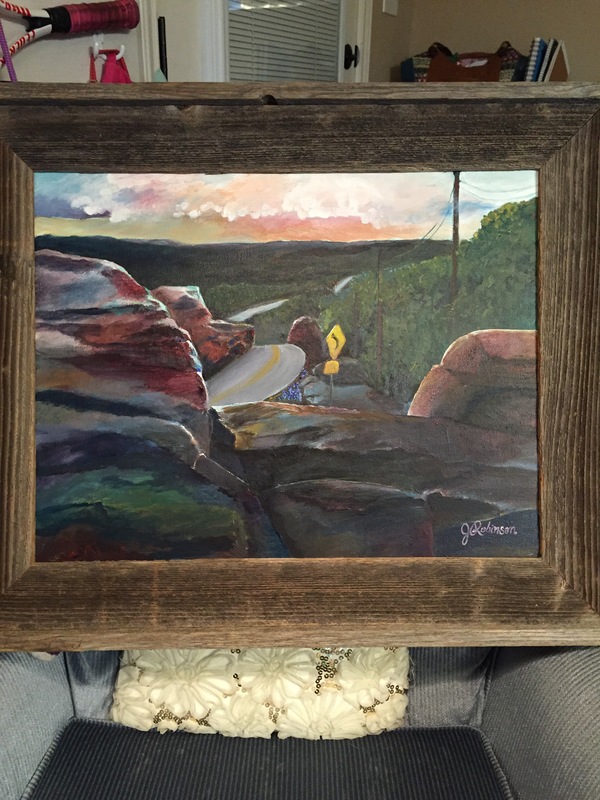 What’s left of the original painting is the road and sign. I was going to call it red white and bluebonnets. But it just didn’t sit right with me and I started blocking in color to attempt again some lovely fields of the Texas state flower. Can you see the tiny triangle of bluebonnets that I just had to put back in. And along the distant road I barely dotted some in. I think this is my favorite painting. A curve in the road.